People from all points of history and from across all cultures regardless of religion believe in a Supreme Being called God. The true God of the universe and all creation is the God of the Scriptures or the Bible — the Triune God (Father, Son, and Holy Spirit) who is also the God of Abraham, Isaac and Jacob. (Exodus 3.6) According to the Bible we communicate to God through prayer. As Christians, we do not pray to a person or a human being like us but we relate, commune, and communicate to a Higher Being who is able to hear us, deliver us, and do something about our situation or problem. That’s why we pray. We ought to approach God all the times in a serious, solemn way or posture. This posture for prayer should be of the heart being fully aware of who He is and who we are. Because God is Omni-present or all-present (Psalm 139), we can draw near him anywhere we are at any give point in time. There is no distance in prayer, as they say. Whether you are at home with your family, at work in your career, at church in your ministry, at the road traveling to get somewhere, or just resting and doing nothing else, you can talk to God about anything troubling your heart and be assured that He can and will reach out to you. 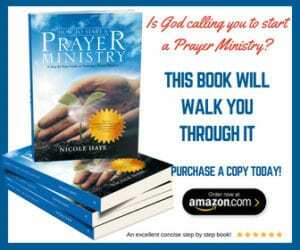 What is prayer in the Bible? Prayer is the lifeline connecting man to God, and it is through prayer that we are able to see many things change -the natural to the supernatural, the seen from the unseen, the impossible to the possible, and transitioning problem to solution, darkness to light, lack to abundance, failure to success, sickness to health, death to life, and brokenness being completely restored. Prayer changes things and more than that, prayer changes hearts and transforms lives. We know that these are just a few things of what praying does. Our God is a relational Being and desires to be in an intimate relationship with man. He created man for fellowship, communion, intimacy, and a loving relationship. Do you have someone in your life right now that you value and hold dear in your life? Is he a spouse, parent, child, best friend, mentor in your life? Do you spend time with him and talk to him? Do you share your life with him and make him a part of you? Do you lavish him with your love and affection and vice versa? Our God also desires the same love and relationship you shower to your loved one. And even more because He created you (Jeremiah 1:5), saved your soul (John 3.16), and loves you unconditionally (Jeremiah 31.3). It is through prayer that we establish this communication, commitment and relationship with our Maker. There are many different types of prayer and models of prayer to use while communicating with God. A-Adoration is a prayer type where we praise God, His goodness and lovingkindness and His attributes, worship Him in the beauty of His holiness, and just proclaim and declare His power and wondrous works. C-Contrition or Confession is one of the types of prayer where we humbly repent of all our sins, violations of His commands, and commit to turn away from sins – sinful thoughts, beliefs, words, emotions, actions, habits, practices, lifestyle, and ways. T-Thanksgiving is a prayer type where we just bless and thank His name for providing all our needs, protecting us from all harm, granting us favor, helping us from our troubles, and loving us lavishly. We thank Him for all the blessings He poured forth upon our lives and for everything we are believing for in the future. S-Supplication is a type of prayer where we cite our requests and petitions. Other human beings no matter how good, kind, rich or powerful cannot at all times help us in our specific needs even if they want to. But, God is Omni-potent or all-powerful, He can help us for everything we need and He is more than able to give us more than we can ask, think or imagine. earlier that we can pray anywhere and anytime and whatever we are doing, still we can devote a specific time or hour per day in prayer in quiet time, which can be at the beginning of the day or the end of the day. Set aside a time where no one, not even your family, can interrupt you. Choose a quiet place where you can be alone with God and shut off all distractions like phones, internet, TV, radio, etc. You may use the above prayer type – ACTS and with various prayer postures. Eyes Closed – Our God is an Invisible God and cannot be seen with our naked eyes but we can feel and experience His presence. When we close our eyes in prayer, we are totally focusing on Him and connecting to Him spirit-to-Spirit. With your eyes closed you are also able to shut off the external influences and just focus on Him. It will be easier to quiet your mind, heart, body and spirit and just be at one with Him. Hands Folded Together – One of the prayer postures that intimacy is being built and we are aligning our body through our hands to speak and commune with God. When you do this, you are exercising your faith that God is truly listening to you and your prayers. 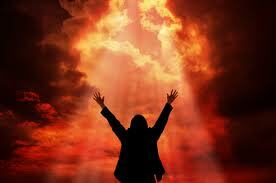 Open Praying Hands/ Hands Raised Up – When you raise up your hands, you are exalting God and His mighty name. It is also reminding God of His promises to you. In the biblical era, they cut their hands and blood flows and raised up their hands to remind God of their covenental promises to them. Knees Bowed Down – Even in biblical times, man on bended knees implored God seriously through this prayer posture. It is an act of humility and surrender putting God above you and everything concerning you. Notice the difference when you pray with your knees bowed down. Lie Flat – This is a prayer posture where you are resting, basking, and enjoying the presence of God in a relaxed position. You can hear Him better in this posture and God can rejuvenate, revive, restore, and reveal things to you. Prostrated Flat on Face – In the Scriptures, the Jewish people and the New Testament Christians pray this way especially when they are fasting in ashes and sackcloth. This is the prayer posture that best exemplifies total surrender and trust to God. Many people do this when they do not know what to do with their life and circumstances, and all they can do is to lie flat on their face seeking God, His will and His ways upon their life. There are also different times people pray. Early Morning Prayer – You may pray at the time or period where you can hear God clearly and commune with Him unhindered. It can be early in the morning before your family wakes up or when they have already left the house for school or work. Sometimes our mind is a lot clearer early in the morning so we are better able to focus on God and hear from Him. Night Prayer – You may choose to pray at night when all the chores, work or tasks have been completed, and your family are all asleep. Some people are able to focus a lot better at the end of the day. They have a time of quiet and peace when everyone in the household is already asleep. Daytime Prayer – You may also pray in-between tasks like lunch hour or dinner break whichever suits you. Going out to your car or in the restroom is a good time to pray. This can be easily done at work especially if you have a bible in your car, a small one in your purse or briefcase or even in the desk drawer at work. This will make it very easy for you to connect with God. The important thing to remember is to devote some time for daily prayer and quiet time. Driving in the Car – If you have a commute to and from work prayer while you are in the car is also very good. With the radio off you are able to focus if you are in the car alone. For those who have been involved in prayer for some time you can pray at any time, any place, whether it’s noisy or quiet. This takes practice but you’ll be able to get to this point soon if you commit to praying every day. It is also encouraged to read the Bible prior to your prayer time or immediately after. Remember that one of the primary ways of hearing from God is through His word so reading the scriptures (Joshua 1.8) is an important part of prayer. God cannot be separated from His Words which is the Bible so He will never answer you in any way that is not in keeping with the scriptures. Yes, praying without ceasing seems to be an impossible task but as you pray daily you will find yourself praying just about all the time. More than receiving answers and miracles to our prayers, prayer can deepen our walk with God and teach us to fully depend on Him alone. God will continue to captivate you with His love and you will be asking for more of His abiding presence and lovingkindness that in the end, you will just approach Him in prayer just wanting to seek His face (1 Chronicles 16.11), hear His voice, experience His presence and be in His pleasure, nothing more, nothing less. We hope that you will give this a try and find out for yourself what praying does.